← Japanese Used Folding bicycles stock ! Our website will be updated soon with a unique online instant shopping cart that enable our customers get an instant quote. 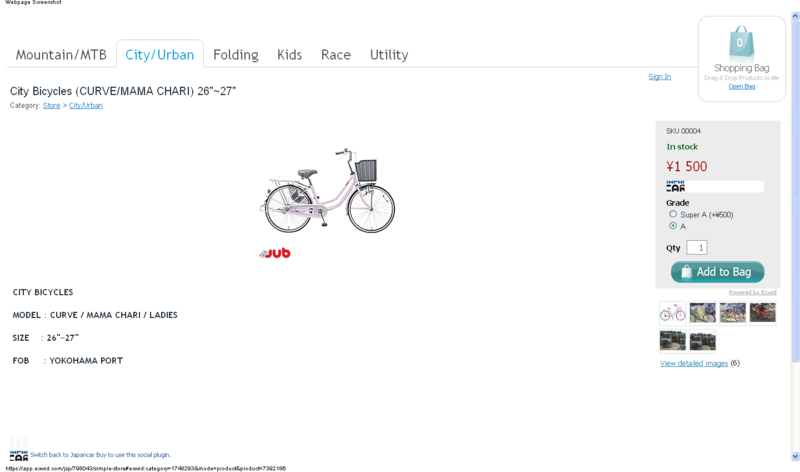 Get an instant Fob price online , Freight and also abililty to select multiple types of japanese used bicycles of your choice from our website. This snapshot of the page below and you can also check the link on our facebook page. Its awesome you can even shop on our facebook page or your mobile device . yahhooooo! 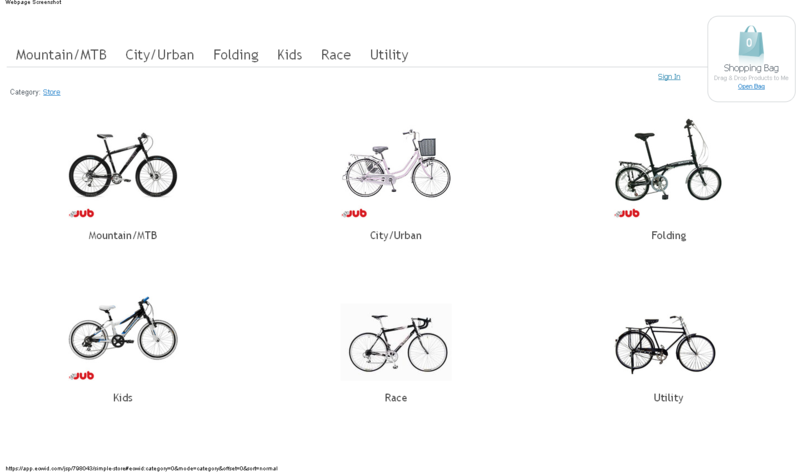 Jub Making used bicycles supplies and export easy to everyone . Stay tune for the updates !!! Posted on October 29, 2011, in Uncategorized. Bookmark the permalink. 1 Comment.